Are You Looking For Affordable and Quality Air Duct Cleaning? If you do not have efficient ductwork, your HVAC systems will find it difficult to give your home the comfortable temperature you want. Do not take your air ducts for granted. Make sure that you have them checked regularly by a trained specialist. Regular check-ups help you to discover and address little issues before they turn into really big problems. What are common air duct problems? You may have the right HVAC system. However, if the ductwork is not properly designed or installed, you will not have the airflow you need to cool or heat your home efficiently. Ductwork that leaks may lead to the loss of about 30% of the air that flow through the ducts. The heating or cooling system becomes inefficient. It has a hard time bringing your rooms to the desired temperature. It has to put in extra work. Leaks also make it possible for pollutants from outside to enter through the ducts and invade your home. These pollutants can easily undermine the quality of your indoor air. They can also put your family at risk for allergies, skin problems, and other health issues. The registers or grills at the duct connection may be improperly sealed. If this is the case, you tend to lose the air through the ducts before it even gets to your rooms. This prompts your HVAC system to work even harder in order to make up for the loss. The industry now uses flexible plastic air ducts, particularly for attics. If you have this kind of ductwork, see to it that the air ducts are not warped, compressed, or twisted. These issues may restrict the airflow and make the system work harder than usual in order to effectively move the air through your home. You may lose temperature-controlled air through leaks. You also stand to lose air when you have ducts that are not insulated or are not correctly insulated. If you want to boost the general efficiency of your cooling or heating system, you have to see to it that your ducts are properly insulated. Air ducts are the pathways through which cooled or heated air gets to your rooms. If the air ducts are dirty, you get unclean air. If you do not have your air ducts cleaned regularly, germs, dust, and other pollutants tend to build up in them. If you want high-quality indoor air to circulate in your home, you need to have clean air ducts. How do we conduct our air duct cleaning process? Our crew of trained technicians visits your home at your request. They do a thorough pre-cleaning inspection to determine what needs to be done. They apprise you of the situation and give you an estimate of the cost. We don’t start the actual work until we set up your home to give it the protection it needs during the process. We make sure that all the doorways, floors, and corners are safe from scuff marks and dirt. We seal all return grills and supply registers with plastic to prevent debris from going into your living space. We attach a 8” hose to the supply side, as well as to the air sides of the HVAC system, and apply negative air pressure. All the filth and grime lodged inside the system is vacuumed directly into the vac truck. We employ the power vac cleaning system, an incredibly innovative and powerful cleaning system that is truck-mounted. All the dirt is vacuumed right into the vac truck. We use a wide range of scrubbing tools to get rid of the dust, filth, and debris that have accumulated in each air duct. We use industry-grade scrubbing equipment to clean every trunk line and plenum. We employ plastic plugs specially designed to eliminate the risk of air flow loss. 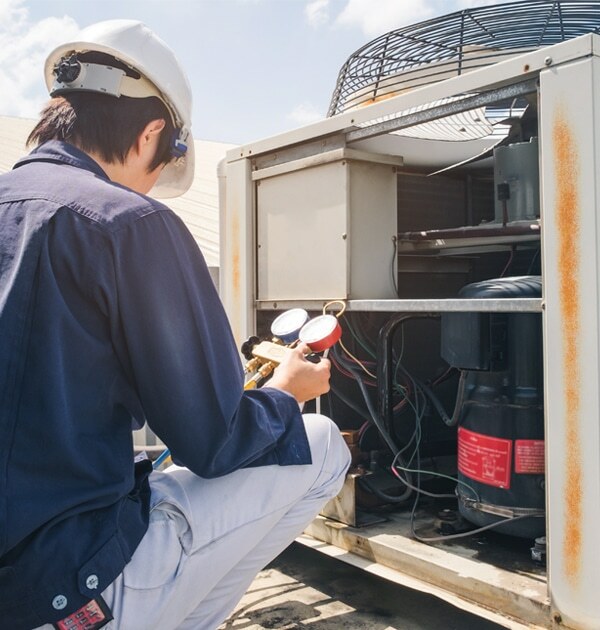 We clean the Ac unit by extracting all its grime and debris and collecting them into a HEPA-filtered vacuum and setting them up for proper disposal. We clean the register covers and vents. We use dust-sweeping equipment that reaches all through the back of the ductwork. This enables us to get rid of filth like animal dander, dust mites, and other dirt that otherwise would have almost been impossible to get to. We employ a high-powered vacuum system for extracting trapped dust. When we are through getting the mechanical components of your system clean, we can apply disinfectant for treating mildew, fungi, bacteria, mold spores, and other similar organisms if requested to do so. After we complete the cleaning process, we make a final inspection. Once we are assured that we have done a thorough job, we clean the place up and take out all our equipment. We make sure that we leave no mess. When you have clean air ducts, you rest assured that the air that enters your home is clean. It is not contaminated by grime or filth that builds up in dirty air ducts. You feel assured that you have a cleaner home. You also enjoy the health benefits associated with breathing in clean air. There is less risk for health issues usually associated with unclean air. You reduce the risk of allergies, asthma, skin irritations, and respiratory problems. If your air ducts are clean, you do not burden your heating or cooling system to do more work. Air ducts which are clog-free make it easier for the HVAC system to turn in the right temperature. The system uses less energy. This results in energy savings for you. There are several reasons why you should use our services for air duct cleaning and other similar services. We have established a good name in this industry by turning in consistently superior service. Our technicians are competent, well-trained, and highly service-oriented. We have powerful state-of-the art diagnostic and cleaning systems. We have a record for completing projects according to agreed-upon schedules and budget. Our company has expert technicians and modern equipment to accurately identify and correct airflow problems in your home. We help you boost the efficiency of your heating and cooling systems and enhance your comfort.